For the second year in a row, I have inspected the Catholic, independent school, Institut Sankt Joseph. This year, I visited the school in connection with an educational day for all teachers and; furthermore, pecifically followed the Danish, Mathematics and English instruction in the school’s primary 2 (4th-6th grade) section. The inspection report from 2010, which is accessible on the school´s website, also contained remarks on upcoming initiatives concerning the school’s physical facilities; therefore, there has been a natural follow-up on these points. I have also had the opportunity to follow a new initiative, involving the international dimension of the school; whereby, Institut Sankt Joseph has been approved for an EU sponsored Comenius project. At the moment, I am acting principal at the Vangeboskole in the Rudersdal municipality, and I have seen and heard a lot that is easily comparable to my own daily activities at the school. Just as last year, at my unannounced visits this year, I attended instruction in the 4th, 5thand 6th grades. Again, I was met with well-prepared teachers, able and very obliging students, and a teaching culture that was constructive and natural. There was a natural curiousity and a lot of attention concerning my being there, when I attend the classes. However, the normal teaching environment very quickly took over, in a way that seemed natural. 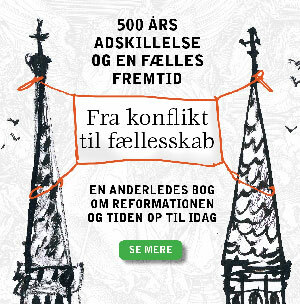 In the subject of Danish, e.g. 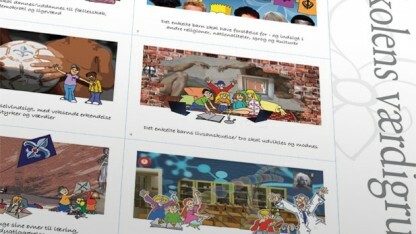 the teaching material “Fandango” is used, which is a good and ambitious Danish material that, by the way, is also used at “my” school. As previously stated, the students performed very well, and the topics during the instruction were relevant. The contact between the teachers and the students was positive and characterized by mutual respect. The mathematics instruction was also at a very good level. The teaching book was called “Sigma”, which is a well-reputed learning system – known to be difficult and demanding – but good! Again, I found that students did well academically, and teachers knew exactly where they were going with the instruction. The English instruction took place e.g. by using the book “Let’s Do It”. Overall, the instruction was in English, and I had the impression that the students knew, what was being said – even when more difficult words and expressions were used. To achieve more impressions of the employees at Institut Sankt Joseph, in November, I participated in an educational day with the topic of: School–Parent cooperation. After a common presentation for everyone, the employees were divided into groups that had to share their experiences with parents – difficult conversations, exemplary progress – and all of this was conducted in a very open, nuanced and trusting manner. It gave me the impression of a teaching and educational staff, that despite age differences and very different point of views, both had an ownership of and a community with the Institute as a whole. Among the employees, there was a really good atmosphere, which e.g. was obvious in their attentiveness towards each other. It is commonly known that a school’s management has great influence on the development of a school. It seems that the employees acknowledge the management team at Sankt Joseph, and that there is great satisfaction regarding on-going projects. The school’s management team is committed and focused on development, but with continuous respect for the traditions and the culture, which is an important part of the Institute Sankt Joseph´s reputation and work. With the limitation of being a “visitor” at the school, I must say that, this year as well, I had the impression that the majority of the students are very goal oriented and interested in learning. 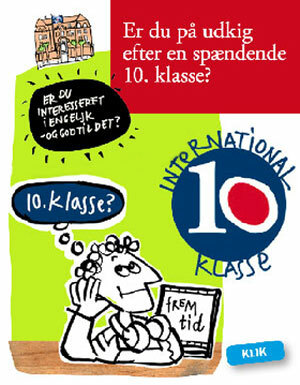 The students have international backgrounds, and more than 50 different countries are represented at the school! 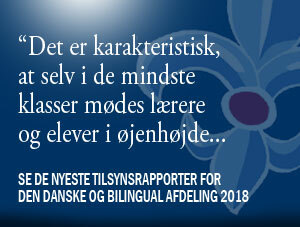 In one of the Danish classes, the topic was about being Danish, non-Danish and modern Danish. It was an interesting topic in a class that included at least eight different nationalities. Nonetheless, there were not many students that had experienced a problem related to this topic. Actually, it took a bit of time for the students to really understand the topic. At least, the students in a particular 6th grade class, felt equal and well treated during school hours and by their friends. Institut Sankt Joseph still appears a bit worn down in several places. The classrooms for Primary 2 students, which I visited, are small, and when 22-24 children have to fit in the classroom, there is not much room left. According to the school’s plans, it is that specific area that is to be renovated. On the other hand, the environment for recess has become a lot more interesting, and there are excellent opportunities to scamper about in the schoolyard and have the fresh air and exercise that will result in calmness in the classroom. The schoolyard has been improved a lot and provides very good opportunities for the students to play. This year, the school library was also upgraded. A room has been created (a free space) for the children, which among other things, means that several classes can easily be there at the same time – and in a way, in which everyone can be active and know the rules for being there. A library, where there is always a helpful adult present, makes it possible to have a lot of good teaching. The rooms are modern and very inviting and motivating for the students. It was part of the plan that the school’s home-economics room and kitchen was to be renovated in 2011 – and it was. The new room is a completely modern, functional kitchen, which more than lives up to par, regarding standard and security in such areas. This is definitely a room that will be used for many different subjects at the school. It was also planned that the older students in Secondary School (7th-9th) would have their classrooms and hallways renovated. With regards to this, the plan was also executed, and the top floors, where the older children are, appear bright, transparent and well decorated for the different types of teaching and learning styles. There is no doubt that the new physical facilities will boost the teaching in general. When writing this report, the hall areas are included in the renewal plans, and new working spaces, where the children can work in pairs – are also being created. 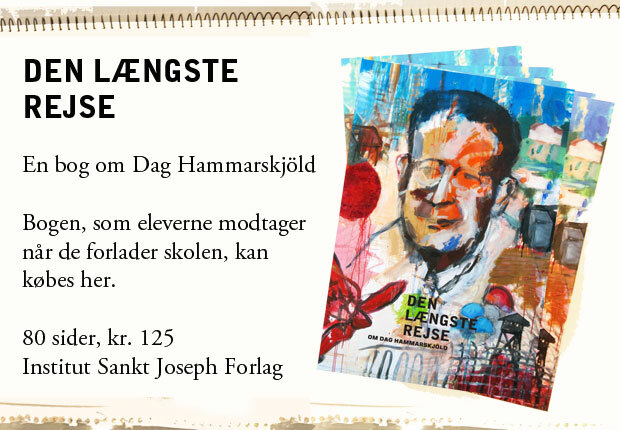 Institut Sankt Joseph is a well-functioning private school that lives up to the requirements of the Danish Act for Primary and Secondary Schools (“Folkeskoler”). A well-educated and committed educational staff provides instruction at a good academic level. Management shows great commitment and is visionary – which is also evident in “The Dream of ISJ”. Modern technology is incorporated –works –and the students seem motivated and happy at school. In 2011, I have experienced a focus on the cooperation between the school and the parents, an expansion and improvement of the physical facilities, and living up to expanding their international dimension. In general, this all gives the school’s children the best opportunities for learning. On this basis, I can give Institut Sankt Joseph my best assessment.